1. Enjoying a cup of tea and delicious sweets in the Fassbender & Rausch Chocolate House looking at the Gendarmenmarkt. 2. Exploring the German capital on a pink bicycle. The city is suitable for going around on bicycle because it has a highly developed bicycling infrastructure. 3. Eating fish chips in the train stations – I love the fried shrimps! 4. Going for a walk in the Tiergarten and having a break at the Cafe am Neuen See. 5. Shopping in the Gallerie Lafayete on a Saturday morning and eating mussels in the basement of the department store. 6. Having a cup of tea in the Wintergarten am Literaturhaus. The highlight is the garden when you sit down in a warm summer air. 7. Taking funny pictures in the East Side Gallery. 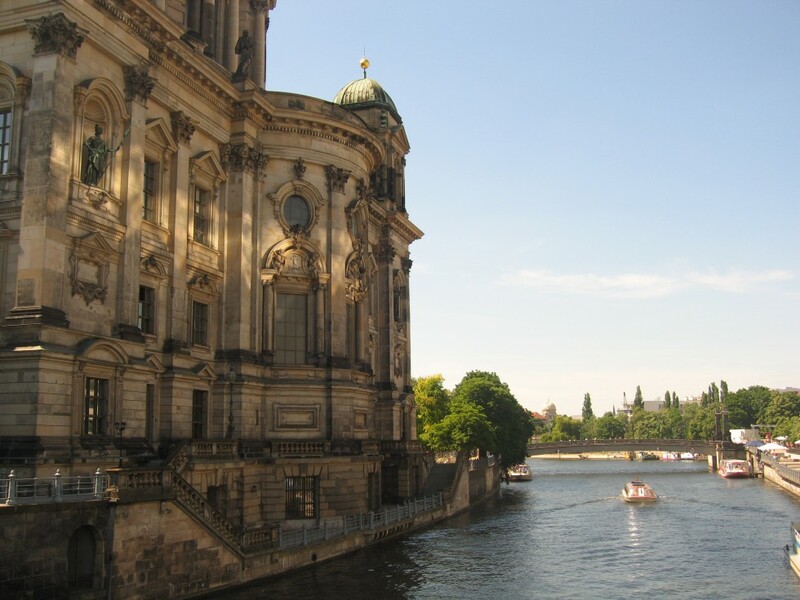 It is the second-most visited tourist attraction in Berlin. 8. Visiting the flea markets where you can buy anything, or so it seems, and the Christmas Markets in December. 10. Visiting the museums in Museuminsel such as the famous Pergamonmuseum. 11. Visiting Berlin’s oldest quarter Nikoleiviertel and stop for a break at the Ephraim’s Cafe. It is like a grandma’s house. 12. But above all these, enjoying a red Berliner Weisse Beer in my favourite Dance Hall Ballhaus Clärchens in the Auguststrasse 24!!! Nowhere in the world I have ever found a place like that. LOVE LOVE LOVE!! !